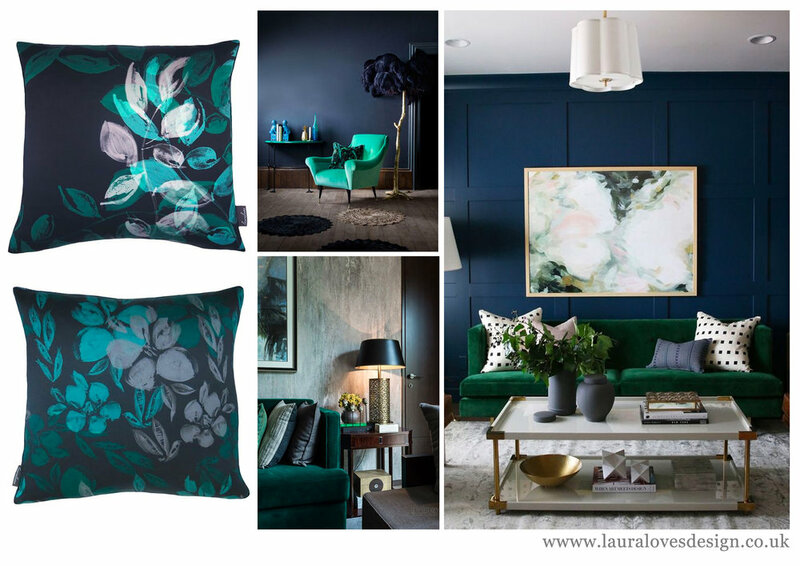 Green & Blue Interior Inspiration - image credit Studio McGee and Mathew Williamson Furniture. Pale Pink & Blue Interior Inspiration - image credit Inspiration Abstract, Barnaby Lane and Brabbu. Green & Pink Inspiration - image credit Mathew Williamson Furniture. Ultra Violet Inspiration - image credit Debenhams.